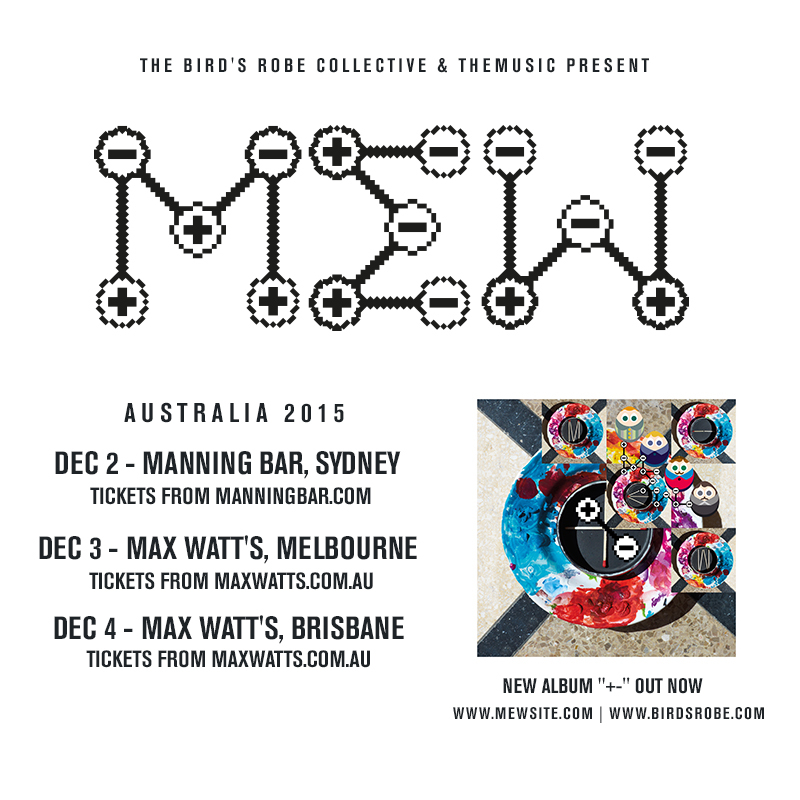 I’m super excited and honoured to announce we are bringing MEW to Australia for the first time ever. Mew formed as a quartet in late 1994 and following their debut ‘A Triumph for Man’ in 1997, they quickly established cult status. Their commercial break-through came in 2003 with the release of “Frengers” – showcasing their unique and quirky approach to crafting classic pop melodies. The record saw them tour with R.E.M. before continuing with 2005’s ‘And The Glass Handed Kites’. Their 2009 opus ‘No More Stories Are Told Today, I’m Sorry They Washed Away // No More Stories, The World is Grey, I’m Tired, Let’s Wash Away’ continued their ever expansive musical backdrop. Their most recent record “+-“ has seen them reach the heights of indie-rock stardom, headlining London’s Roundhouse and performing at festivals like Roskilde, Pukkelpop and Summer Sonic.